This probate home for sale is located at 1266 Oregold Pl, San Jose, CA 95131. It is located in the Rosewood Condominium Community in Berryessa. It is listed by Probate Agent, Kathleen Daniels. According to the management company the Rosewood community consists of 191 units. The HOA fees as of January 2019 for this unit are $265 a month. This probate home is an upstairs end unit. It has 2 bedrooms, 2 bathrooms, wood burning fireplace in the living room. The master bedroom suite has a walk-in closet and oversized tub with shower. Inside laundry, attached 1 car garage and 1 assigned parking space steps away from the garage. Conveniently access the stairs directly from the interior garage door. New air conditioner. The City of San Jose Building Department signed the final permit in December 2018. Maytag washing machine in June 2018 with a 5-year transferable warranty. Garage door opener with 2 remotes in October 2017. The furnace is approximately 6 years old. The exact date of installation is unknown. Manufacture date on the furnace is March 2013. The probate home needs new flooring and could use a coat of fresh paint to match the color of your dream home. With some effort and additional updating of your choice, you could soon be enjoying the many amenities the community has to offer. The swimming pool will be nice to have during the hot summer months. This condominium is being sold through probate in Santa Clara County. The administrator’s father passed away peacefully in the home. When buying probate property in California a death in the home within the last three years must be disclosed. When buying a probate house we also need to be aware there are disclosure exemptions. That means the estate representative is not required to complete specific disclosures that a non-probate home seller would need to complete. It’s important to remember that buying a condominium means we need to be aware of the rules and regulations of the community as well as the Covenants, Conditions, and Restrictions, also known as the CC&Rs that dictate what homeowners can and cannot do. Always read the HOA documents carefully before making a decision to buy. The administrator of the estate found Kathleen by searching the Internet for a probate real estate agent. She contacted her directly and scheduled a consultation. After they spoke on the phone she invited Kathleen to meet her at the property to discuss the probate property sale procedure. At that time, the petition for probate had only recently been filed. The court date was 6-8 weeks out. The administrator would not have the authority to sell the home until the judge heard the petition for probate, granted the order and issued Letters of Administration. 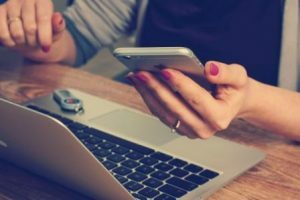 A certified copy of the Letters is what is needed in order to confirm the person selling the home has the authority to sell and the level of authority, full or limited, granted by the court. In this case, the administrator was granted full authority under the Independent Administration of Estates Act or IAEA. That means a probate sale without court approval and the sale avoids the California probate sale overbid process. 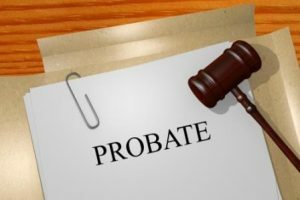 Probate becomes necessary when people passed away without the proper estate planning documents. Not all real estate specialists have the same level of probate education and training. Many have not taken probate training courses, like CPRES. Kathleen has extensive probate realtor training and experience. She has been selling real estate in probate since she was licensed in 2003. For a private showing of this probate home located at 1266 Oregold Pl, San Jose, CA 95131 call probate agent, Kathleen Daniels at 408-972-1822 to see this condominium located in the Rosewood community.